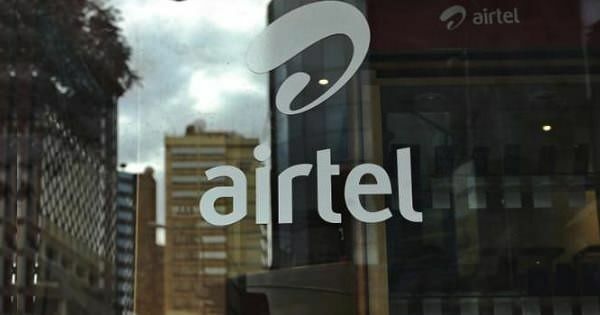 Airtel – India’s second-largest telecom operator with around 350 million subscribers, as per COAI – has been introducing new prepaid plans from time to time to compete against Reliance Jio other telcos. In addition, in the past couple of weeks, the company has either launched or reintroduced its Infinity plans with more benefits for its postpaid subscribers as well. With its Infinity plans, the leading telco is offering as much as 40GB of 4G data per month with unlimited calling benefits to its postpaid users starting at just Rs 399. Airtel’s Infinity postpaid plans are available starting at Rs 399, and go up to Rs 1,199, depending on the data and voice calling benefits. Apart from these, the company also allows you to add family members to select plans to let others enjoy similar benefits using a single plan. Here, we’ve compared all five Infinity plans that the telco currently has on offer, so you can decide which one suits your needs. Airtel’s most affordable Infinity plan offers 40GB of high-speed 3G or 4G data with rollover facility to the next month. The voice calling benefits of the plan includes unlimited local and STD calls to all networks for a month, along with free-roaming facility. The pack also offers you a free subscription to ZEE5 shows and movies, Airtel TV, and one year of Amazon Prime subscription. Airtel’s second postpaid Infinity pack costs Rs 499, which provides 75GB of data with the same data rollover facility as the Rs 399 plan. This pack also comes with unlimited local and voice calling benefits to all networks across the country, apart from free calls during roaming. Apart from this, the same plan offers free subscription to Amazon Prime video streaming service for a year, three months for Netflix, Airtel TV, unlimited access to ZEE5 shows and movies, along with the brand’s handset protection services. While Airtel’s Rs 399 and 499 postpaid Infinity plans are for budget-conscious users, the company’s Rs 649 plan is for those who are looking for higher data benefits. The pack offers the same unlimited calling benefits as the earlier plans, but it provides you with 90GB data for 3G or 4G networks with rollover facility. Just like the budget Rs 399 and Rs 499 packs, this tariff also offers a free subscription to Amazon Prime for a year, access to Airtel TV, three months of free Netflix subscription, ZEE5 content, and handset protection. Furthermore, the pack also allows you to add two more Airtel postpaid connections to your primary number and enjoy the same calling benefits on the additional numbers. Notably, the data benefits of the same plan will be shared among the primary and the add-on connections. The leading telco’s Rs 799 Infinity plan offers the same calling benefits and a subscription to streaming services, as well as free handset protection as the Rs 649 pack. However, it allows you to add three additional postpaid mobile numbers to your primary account to let you enjoy the same calling and shared data benefits. This pack offers 100GB of high-speed 3G or 4G data for a month with the same data carryover feature. Now coming to the priciest Airtel postpaid Infinity plan, the Rs 1,199 pack offers 120GB of data for a month with rollover benefits. This plan allows you to add four additional add-on mobile numbers to your primary connection, all of which can enjoy unlimited voice calls and shared data benefits for a month. Similar to previous plans, it comes with a free subscription to Amazon Prime for a year, access to Airtel TV, three months of free Netflix subscription, ZEE5 content, and handset protection. Which Airtel postpaid Infinity plan should you go for? All of the above Airtel postpaid Infinity plans are billed monthly, and offer unlimited local and STD voice calls to other networks, apart from free roaming calls. Most of these plans differ in the data benefits only, with plans priced at and above Rs 499 offering subscription to the Netflix service. Plans priced Rs 649 and higher also let additional family members enjoy the benefits. So if you are a heavy data user who streams a lot of music and videos, or want to include other family members as add-on connections, then the Rs 1,199 Infinity plan from Airtel is suitable for you. However, if you just need limited data, then you can even go for the basic Rs 399 postpaid Infinity plan. It’s worth noting that irrespective of the plan you go for, you can accumulate a lot of data thanks to the rollover feature. Note: The aforementioned postpaid Infinity plans from Airtel vary from user to user and across different telecom circles, and can change without notice as the telecom war intensifies.